@Heroscaper 101 why do you have 2 playtesting threads with very similar info on each? I was wondering why he has 5 custom card threads. I thought the rule was 1. All I need is 1 customs thread for my cards. Edit: my bad, he actually has 6 custom card threads. Last edited by TREX; October 23rd, 2018 at 09:54 PM. This thread is for kills, wounds & abilities and the other thread is like general stuff, like point, armies and date of the playtest. Generally it's better to have 1 thread for a topic. Not only does it keep the forum cleaner, which is nicer for everybody, but it also consolidates all your information in one location. Right now, if you want to reference what happened in one of your battles, you have to go to two different places, whereas if you consolidated, you'd only have to go to one. Yeah you’re only supposed to have 1 customs thread per the Forum “rules”. But I guess really only an admin can enforce that. I agree with MrNobody. You can always combine the information from both of these threads into a single post, which will make things a lot more convenient to reference later on. Just a tip, I think your playtesting would be more useful to yourself and everyone else if it was a bit clearer what happened in each battle. Maybe a standard form similar to this? It's just a modified version of the C3V playtest form. Provide a brief summary of the game: Maybe write a single sentence detailing each round? Anything is better than nothing here. How useful were playtesting units' powers and how often did they come into play: (Analyze how you feel about the unit. Do you think they're worth their points? More? Less? Don't forget that you're making customs for yourself, not for anybody else. We're here to help you, but these are your personal customs. Do what you think is fun! Why not combine all your custom threads into one? It makes it easier for anyone following your customs to see what you have made. You can link all your customs to the OP. Then when you update them you can just update the one post that has the figure card. People can follow the unit better if you post the version with the playtest report under it in a spoiler tab. Generally people will post the map they used, the units used in testing, the team with the win and what units were left. This gives an idea of how bad the one team was beaten. Then a summary of the game. Not really play by play but just an overview to give an idea how the battle went. Some then give their thoughts on how the unit tested. Did the character overperform, did he underperform, did he play out thematically like you wanted them to. Stuff like that. When making a character, visualise what you want your character to be, simply tacking on buffs for other units is fairly boring. Im really trying to help you out here. Your testing threads dont really help much as they are. These are your customs, everybody will not like them. Some people will, some people wont. What matters is they are the character you want them to be. Ask an Admin to help you combine your threads or just continue using one and keep track of everything there. Thanks guys: I just got ninja'ed three times teach me to answer a phone call while posting. Provide a brief summary of the game: The game lasted 5 rounds and Skalmad army won. Skalmad powers activated multiple times. - Skalmad doesn't get 6 attack like the Feral Troll with Blood Frenzy or 5 attack like the Ice Troll Berserker. 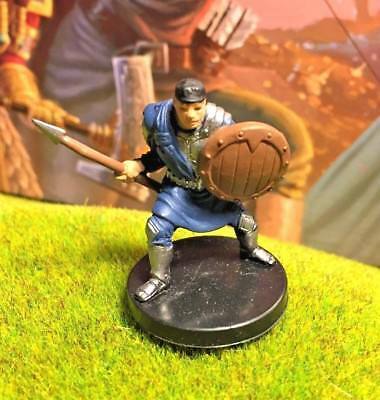 Last edited by Heroscaper 101; November 3rd, 2018 at 10:47 PM.